Do you apologize too often? 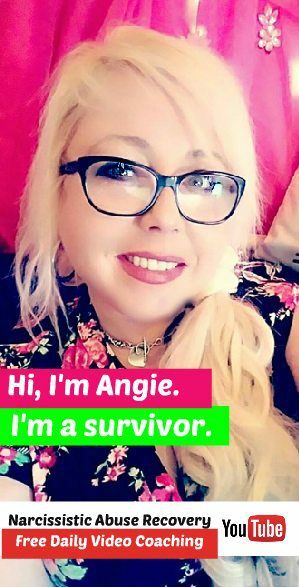 A heartfelt apology can be healing, but even asking for forgiveness can be taken too far – and for survivors of narcissistic abuse, it can become a really bad habit. If you’re apologizing each time you ask to see a menu or bump into a chair, you may need to cut back. Finding a balance can be tricky. After all, taking responsibility for your actions and making amends shows you have solid character and strengthens your relationships. However, when saying you’re sorry becomes excessive you could be undermining your confidence and annoying your friends. Learn where to draw the line so you can express remorse without feeling guilty for things that are insignificant or beyond your control. Use these ideas to become more aware of your behavior and find alternatives to apologizing. Has saying you’re sorry become so automatic that you don’t even realize you’re doing it? You’ll need to recognize your patterns, so you can change them. Slow down. Take a deep breath before you blurt out an apology. Give yourself time to think about what you want to do instead of operating on autopilot. Check your motives. You might be trying to gain security or appear agreeable. You might even be pretending to be sorry, so you won’t have to listen to the other person’s point of view. In any case, check to see if you’re really remorseful. Change your habits. Maybe there’s something about your lifestyle that you need to confront. Are you often contrite after shopping binges or losing your temper? Keep a journal. Writing about your day can help you to notice your triggers and explore your emotions. Jot down what’s happening and how you feel when you apologize needlessly. Lighten up. Anxiety can make you prone to apologizing. Find relaxation practices that work for you such as meditation or physical exercise. Reach out for help. If you’re not sure if you’re going overboard, ask your friends and family for feedback. They can also support you while you’re trying to change. If you think you need more assistance, you may want to talk with a professional counselor. Now that you’re ready to apologize less, you can experiment with different approaches. You may even find yourself picking up new communication skills. Express gratitude. Saying thank you is often a more logical alternative to saying you’re sorry. Plus, it will probably make the other person feel better too. For example, thank a salesperson for suggesting an item that’s on sale instead of apologizing for not noticing it yourself. Show compassion. Saying you’re sorry about the misfortunes of others can just be a form of expression. However, if it makes you feel guilty for things that are beyond your control, you may want to phrase it differently. Be direct. Ask a question without apologizing first. It’s reasonable for you to clarify the details of an assignment at work or check the directions to a party. You’ll get the answers in less time, and you may be treated with more respect. Accept yourself. Maybe you wish you had curly hair or a deeper voice. If you can learn to laugh at your more unusual qualities or just feel comfortable with them, you’ll feel less need to make excuses for them. Assert your needs. The biggest downside to excessive apologizing is that it may reinforce the idea that you’re unworthy of love and respect. Build up your confidence with positive affirmations and worthwhile achievements so you can be comfortable and competent at advocating for yourself. Save your apologies for the times when you’re sincerely remorseful and have done something that you need to make amends for. You’ll feel more confident about yourself, and your words will be more meaningful. What Is A Life Purpose? Simply put, life purpose is what motivates you to get out of bed every morning. This purpose guides your life decisions, influences your behaviors, shapes your goals, and creates meaning in your life. Every person has a different life purpose. Some find their purpose is connected to vocation. Others find their purpose in their responsibilities to family and friends. While others find their purpose through spirituality and religious beliefs. There is no right or wrong when it comes to finding your life purpose. Life Purpose And Satisfaction – We consider ourselves to be happy when our needs and desires are satisfied. However, this happiness is fleeting because, in our consumer-driven society, we are always trying to attain more. A study in the Journal of Positive Psychology found that while negative events decrease happiness, they tend to increase the meaning of life. The study also showed that people who had purpose rated their life satisfaction higher, even when they were personally unhappy. Essentially, having true meaning in our lives means that we can work through past grief, abuse, and failures and find resilience, resolve and growth and use those learning experiences to give back in some way. People who have life purpose are the most satisfied with their lives, even if they don’t have everything they want and are unhappy. Finding Your Life Purpose – To find your life purpose, you first must let go of the idea that you only have one purpose in life. Finding your purpose is going to require that you let go of a lot of things that you believe to be true. You need to let go of what society tells you is your purpose. Let go of what your parents and teachers and friends have told you is your purpose. Think about what brings you joy. Consider what things make you feel fulfilled. The things that you want to share with the world. The things you are proud to be a part of. Finding your purpose is going to be your own unique journey, and there is no step-by-step guide to lead you there. However, when you discover your purpose you will know it based on the satisfaction you feel being true to your purpose. The Importance Of Finding Your Life Purpose – There are many reasons you should find your life purpose. A study done in 2009 looked at over seventy-three thousand Japanese men and women. The study found that of those men and women, the ones who had a strong sense of purpose tended to live longer than those who didn’t. A second study, done in 2008, showed that Japanese men who had a lower level of purpose experienced an earlier death and higher rates of cardiovascular disease. A final study published in The Journal of Pain found that women who had a strong sense of purpose could withstand hot and cold stimuli applied to their skin better than those who didn’t have a strong sense of purpose. There is more to life than just being happy. In fact, the search for happiness is often futile. Instead, finding your life’s purpose can lead you to a life of ultimate satisfaction. 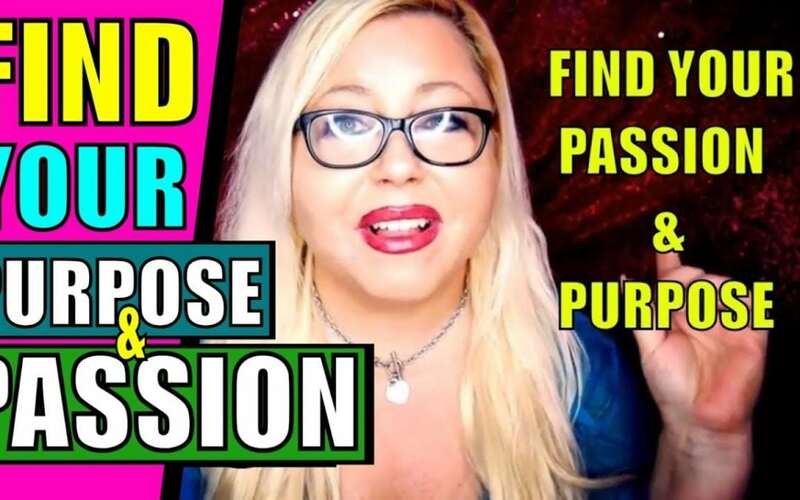 Try these tips and the additional tips in this video to discover YOUR life purpose! If you already know it, comment below and let me know what it is! If you don’t – tell me how you’re going to find it. Share this post to help share the love! It’s good karma. Or, just watch this YouTube video. 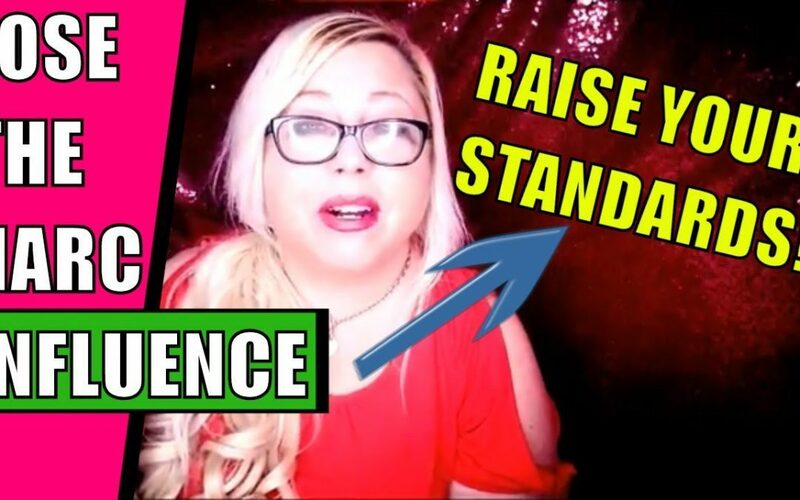 Drop Your Narcissist By Raising Your Standards! 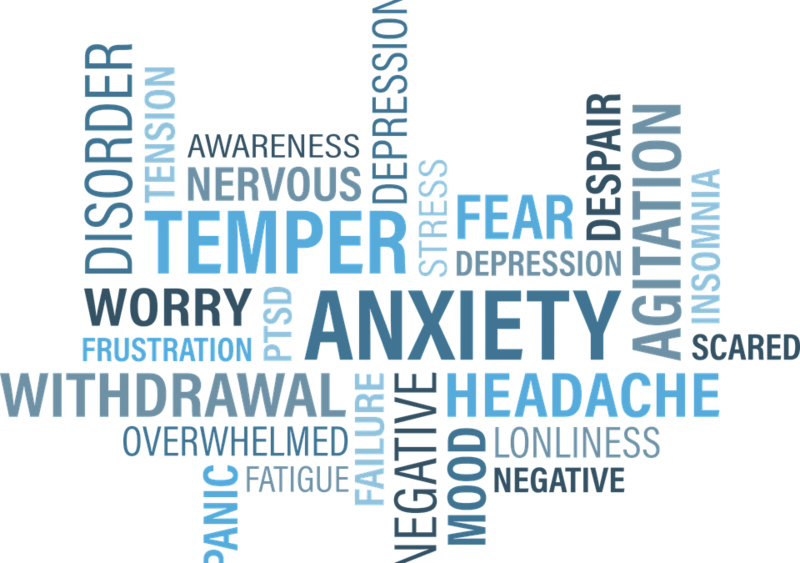 Do you have racing thoughts and anxiety? It’s hard to focus on anything else when anxiety takes control of your mind. You’re filled with worries and uncertainties. You can’t calm down or rest. 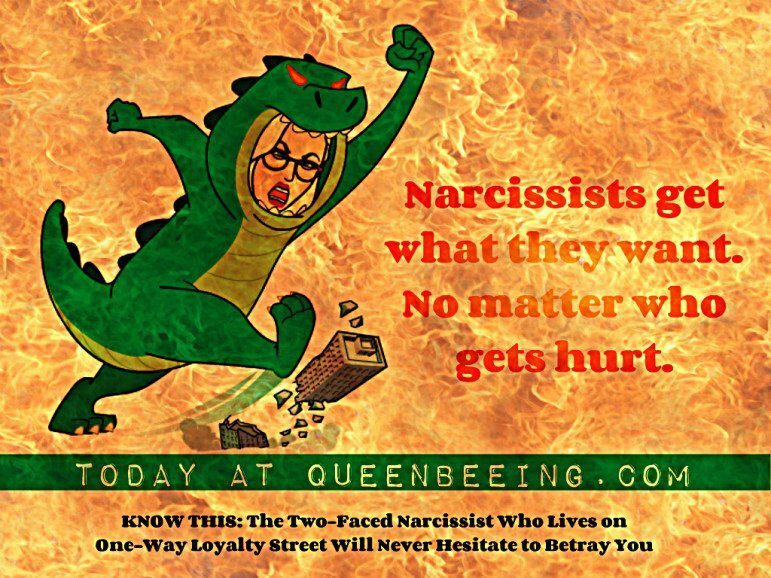 It’s a common occurrence for people dealing with narcissistic abuse in toxic relationships. Distance yourself from the worrisome thoughts. Learn to look at your anxious thoughts in a different way. The key is to reshape how you think about things. Is the negative outcome I’m imagining likely to happen? View your thoughts as data. Sometimes it’s helpful to view your thoughts as data and your mind as a data processing center. You’ll get a lot of data coming in throughout the day. Some of this data can be incorrect and confusing. This is an example of anxious thoughts. Focus on the present. Many anxious thoughts are focused on either the future or the past. You can break free by focusing on the present. Take action. Anxious thoughts often prevent you from taking action. They keep you stuck in fear and worry. Learn to take action even when you’re afraid. Get rid of unhelpful thoughts. Some thoughts may be true, but they aren’t helpful. Then, start to filter out the unhelpful ones. For example, if you know that the odds of making a perfect presentation at work are low, but you still have to do it, this is an unhelpful thought. It doesn’t encourage you to do your best. Anxious thoughts don’t have to control your life. You can use these tricks to effectively take control of your mind when you find yourself worrying. If these tips aren’t enough, consider talking to a therapist for additional help.